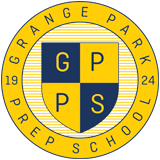 We believe that the best way to see if GPPS is the right school for your child is to come and see us in action. Open Days are held on the first Tuesday of each month (during term time). For 2018, they are on the following dates at 9:30am and last for approx one hour. They include a tour of the school and a chance to meet the headteacher for an opportunity to ask any questions you may have regarding the school. To book into one of the above open days please call 020 8360 1469. If you are unable to make these dates it would be our pleasure to arrange a convenient time for you to come and visit us. Please call to arrange.